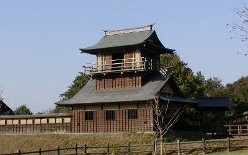 Sakasai Castle is classified as a flatland castle, and is located in Ibaraki Prefecture. 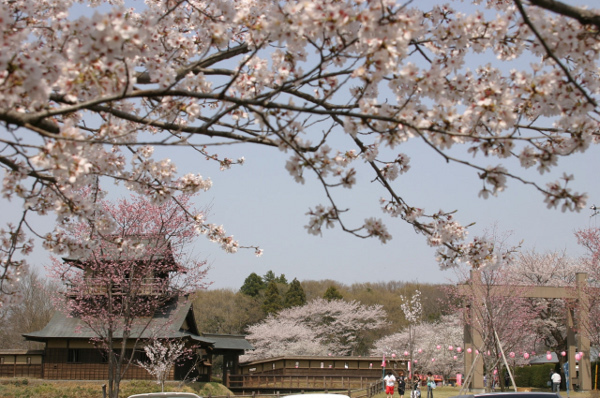 During the pre-modern age, it found itself within the borders of Shimōsa Province. It is associated with the Sakasai, late Hōjō clans. Dates in use: 1456 - 1590. I haven't actually visited this castle myself, but from what I've heard it is not easy to get to. Once you arrive however, your efforts will be repaid with a finely reproduced Sengoku period castle. Prior to being abandoned in 1590, this castle marked the eastern border of the Hōjō territory. 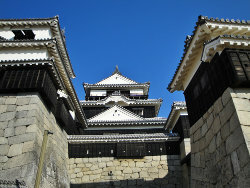 1456 Fortifications were built by the Sakasai clan. 1536 The castle was attacked & fell to the Hōjō. 1577 The castle was renovated. 1590 The Hōjō clan were defeated by Toyotomi Hideyoshi & the castle was abandoned. 1991 A gate from Sekiyado castle was relocated here. 1993 All buildings, walls & a tower were rebuilt.